The poet Dennis O’Driscoll died on Christmas Eve, 2012. Today, the winter solstice when the North Pole is tilted furthest away from the sun, marks the shortest day and the longest night of 2015. For me, the significance of the astronomical alignment extends also to the existential, and makes me consider what being human might mean in this extraordinary and often inexplicable physical world that we inhabit. you hoping, you regretting, you interloping. intuitions, food fads, pet hates, Achilles’ heels. 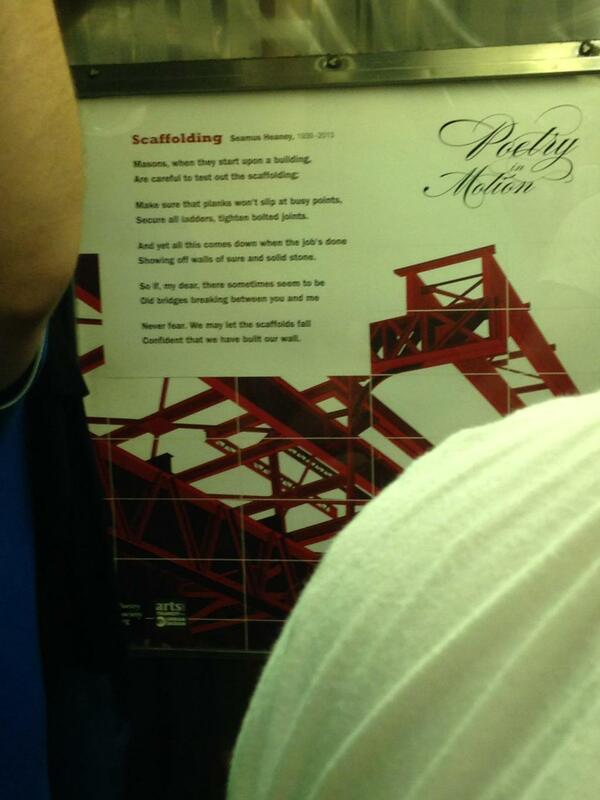 A friend just sent me this – a Seamus Heaney poem displayed in a New York subway station. An interesting piece on ‘last words’ in The Conversation [http://theconversation.com/that-final-vowel-reading-seamus-heaneys-last-poem-32539] encouraged me to reflect on, not so much final words themselves but more how we interpret them. I suspect this is particularly true when we consider the poet. 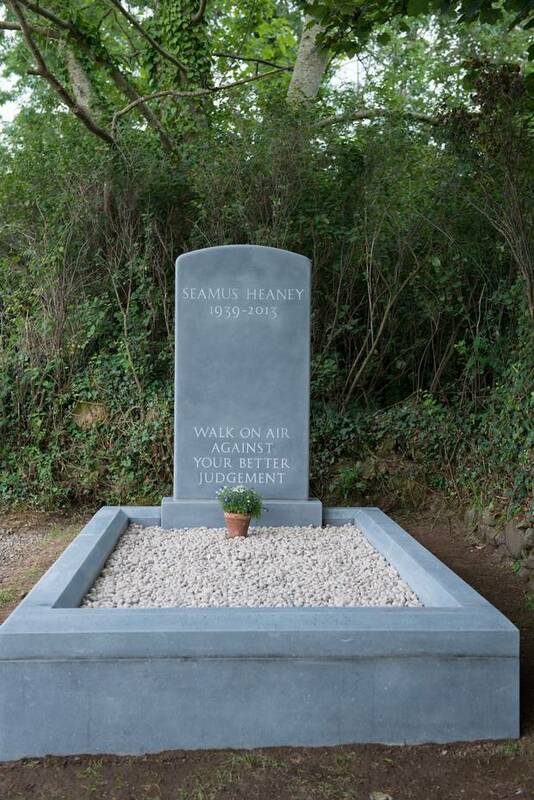 When Seamus Heaney died, much attention was given to the last words he uttered, via text, to his wife: ‘Do not be afraid’. Heaney actually typed the words in Latin, ‘Noli timeri’, which, ironically given the poet’s own superlative classical translation expertise, was misspelt in various media transcriptions [http://www.theatlantic.com/technology/archive/2013/09/how-so-many-people-got-seamus-heaneys-last-words-wrong/279330/]. As The Conversation article suggests, Heaney’s last poem – a mediation on a painting of a canal by the French artist Gustave Caillebotte and completed just 10 days before the poet’s death – cannot escape being analysed in the context of the imminent demise of the poet’s voice. I have always struggled with this issue, which is that we too often gravitate towards a contextual interpretation of poetry, as if the words alone, unexplained, are not enough. For my MA dissertation I argued that the work of Robert Lowell was inappropriately and unfairly adjudicated against the background of the poet’s bipolar condition. I argued for an appreciation of his works purely in the context in which the poet himself presented them. It is tempting and too easy to over interpret, to satisfy a base and human need to explain everything away. Which goes against the very essence of poetry, where words can stand defiantly alone, and have the power to transport you elsewhere, and manywhere, as such.